Register at 219-886-2484 ext. 358. 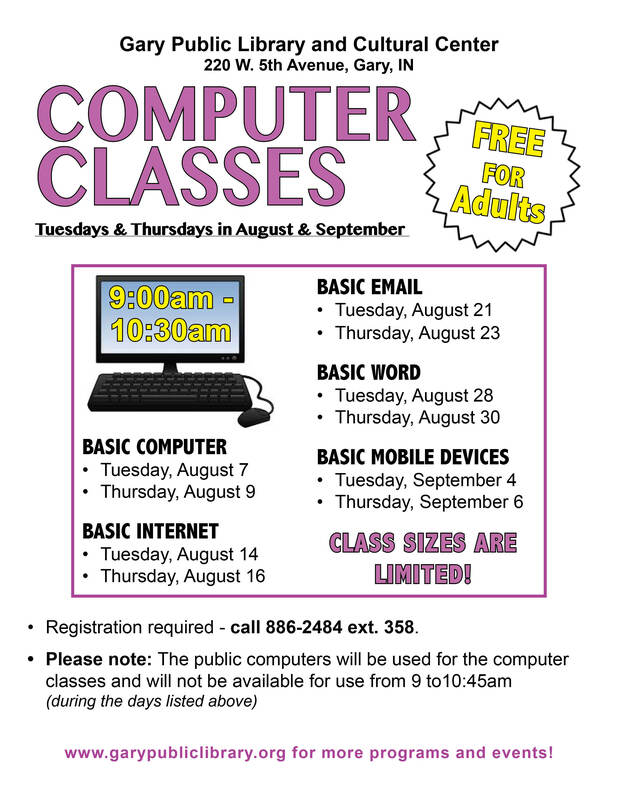 Classes available - click here.